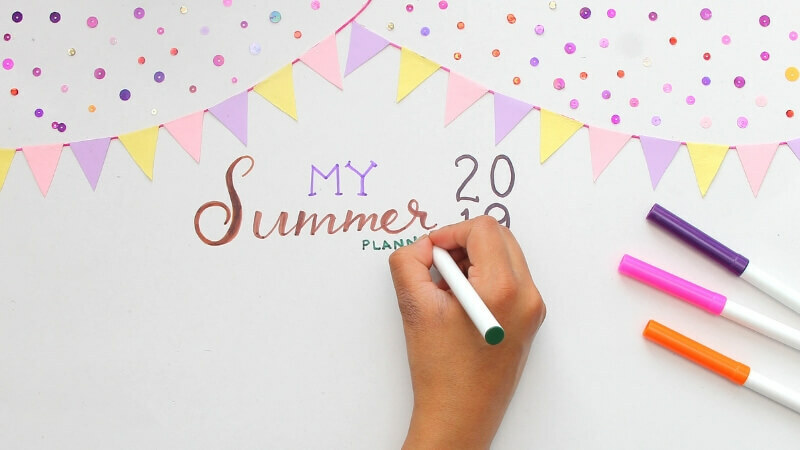 Get creative these holidays with this DIY Summer Planner! 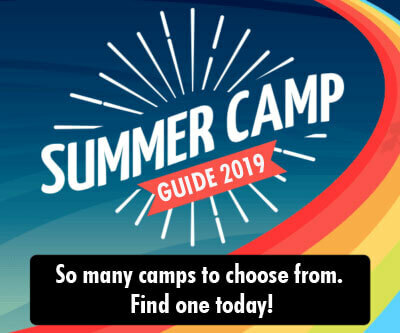 What better way to make the best use of the summer holidays than to plan! 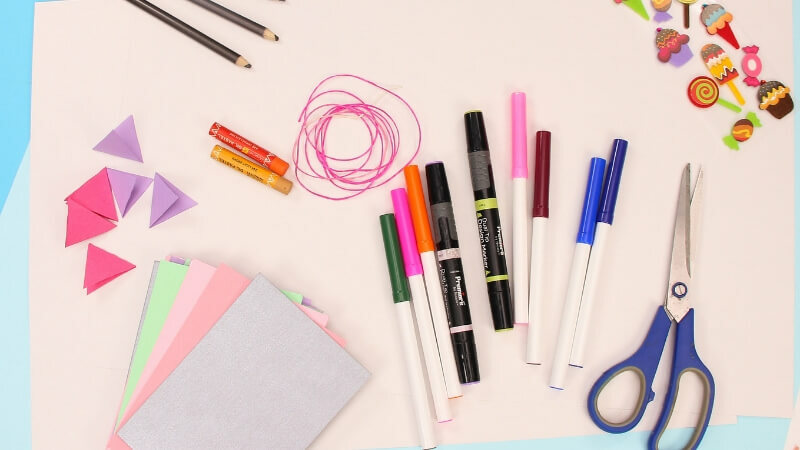 Get creative and make a beautiful summer planner with these DIY instructions. Plan your holidays and have an awesome one! Summer is here and so is the heat. 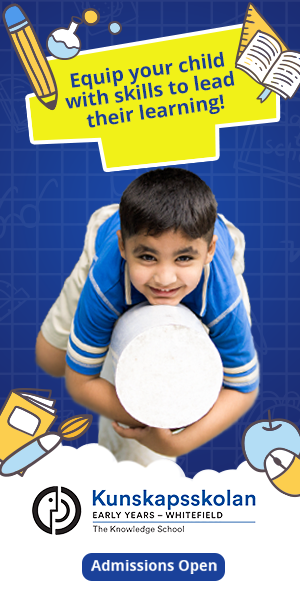 School is over, which means your kids have a lot more time to get mischievous! 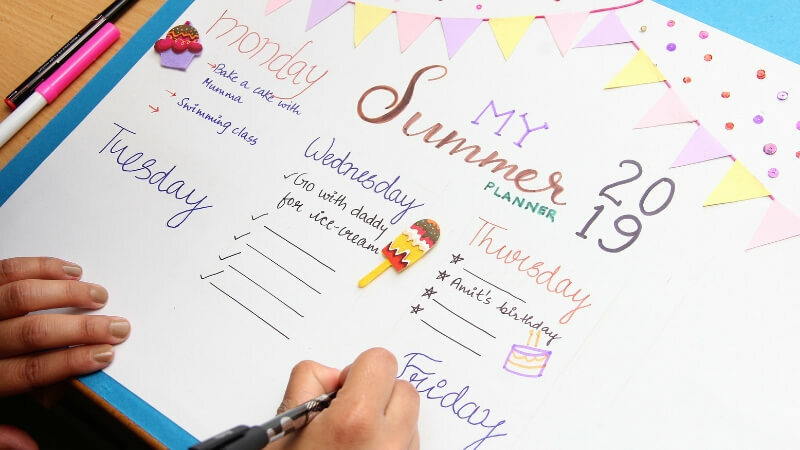 So, making your own Summer Planner is a great way to keep them engaged. You can prepare a list of activities, daily or weekly to keep the little ones busy – A Lazy Monday, Trip Tuesday, What’s Cooking Wednesday, Crafty Thursday, Fun Friday, Sleeping Saturday or a Shopping Sunday. Make sure to involve the children in the planning too. Kids will be very excited if they know they have something to look forward to. To add to the fun, sit down and create a “Summer Planner” along with them! 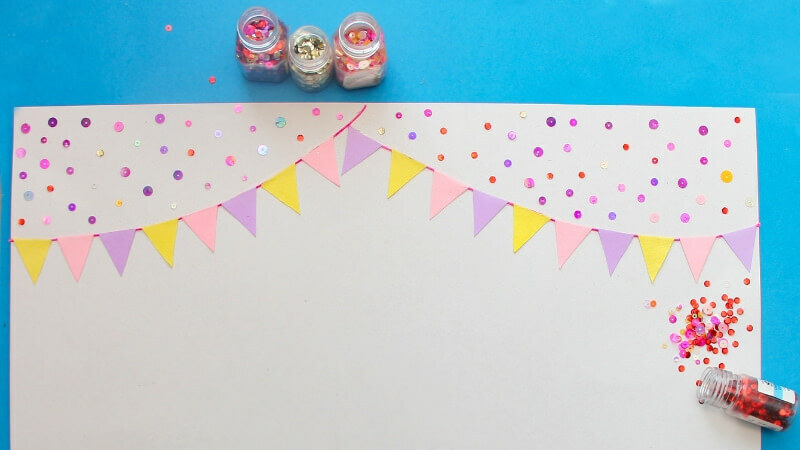 Pull out some cardboard (cut it to 13in x 19in for a decent size), coloured paper, sketch pens, crayons or colour pencils, stickers, glitter or sequins, coloured string and glue. 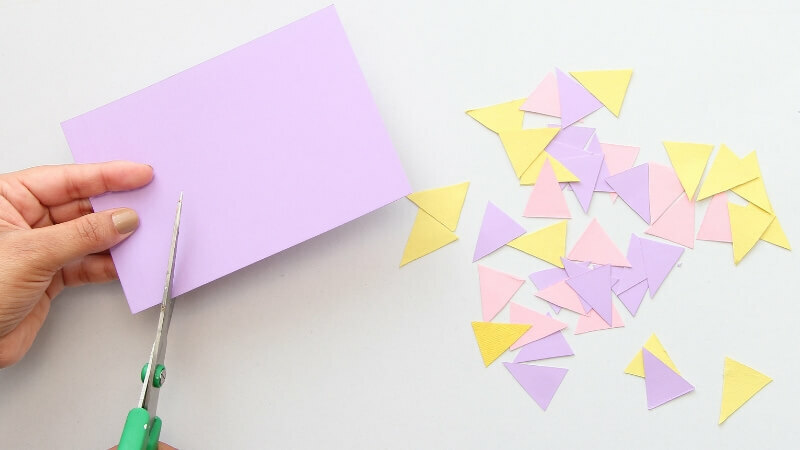 Cut out small triangle shapes from different coloured papers for making a paper bunting. Glue coloured string in any random pattern, from the top left corner till the right end of the sheet to make the base for the paper bunting. 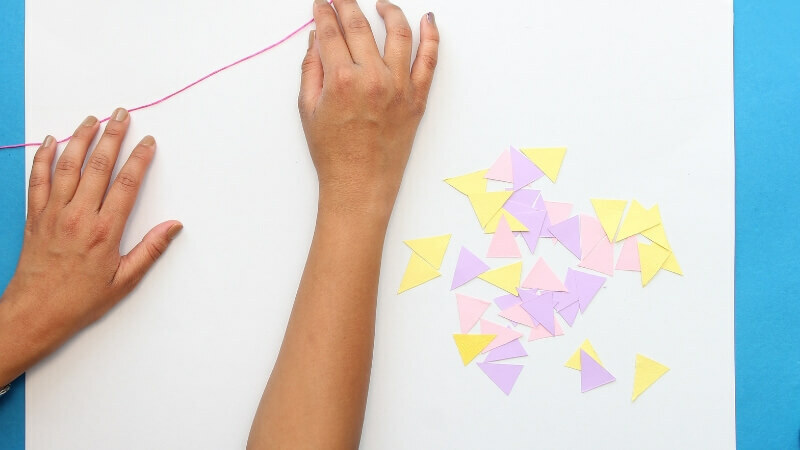 Start sticking the coloured triangles one next to another on top of the string as shown in the image below. 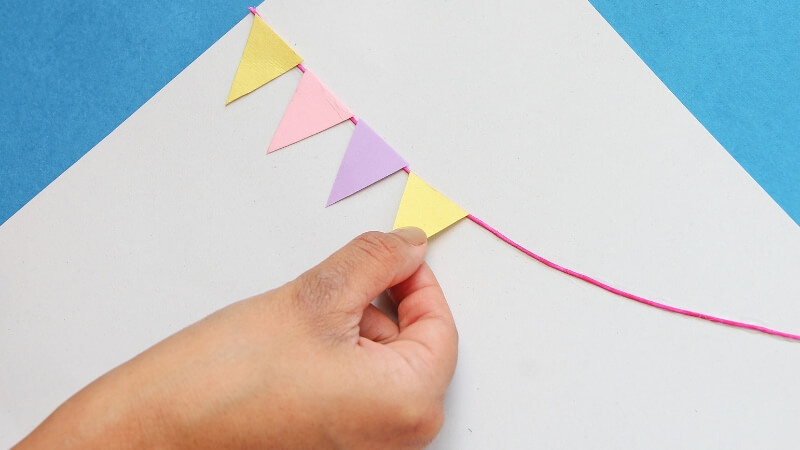 Complete the paper bunting. Let’s add some interest to your planner with glitter/ sequins of different colours, shapes and sizes. Once the decorative layout of your planner is ready, it is time to put in your summer schedule. You can write, draw, embellish with stickers, doodle or sketch and make your planner as colourful and happy as you wish. I am hoping the moms are slightly relaxed now and wishing you loads of love and laughter for summer 2019.